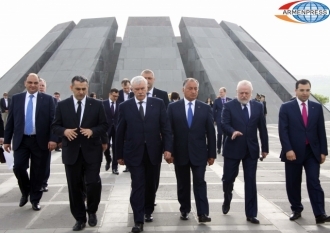 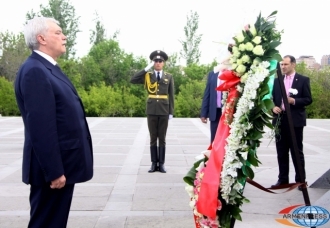 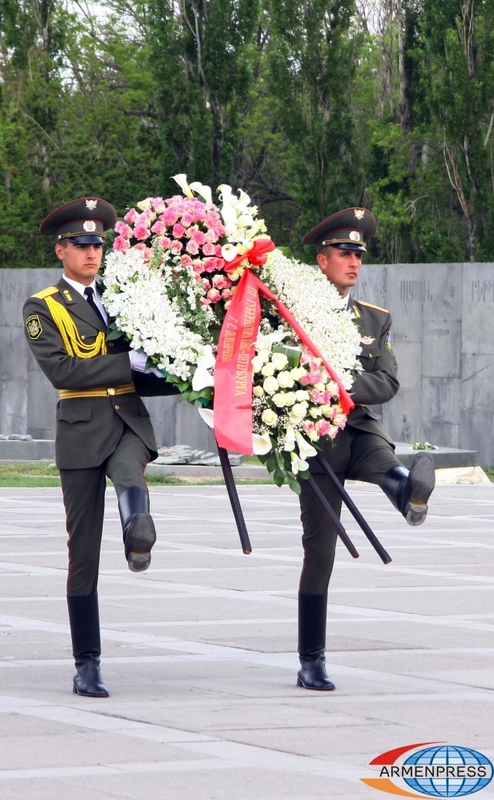 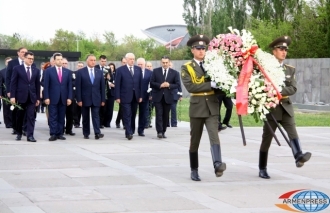 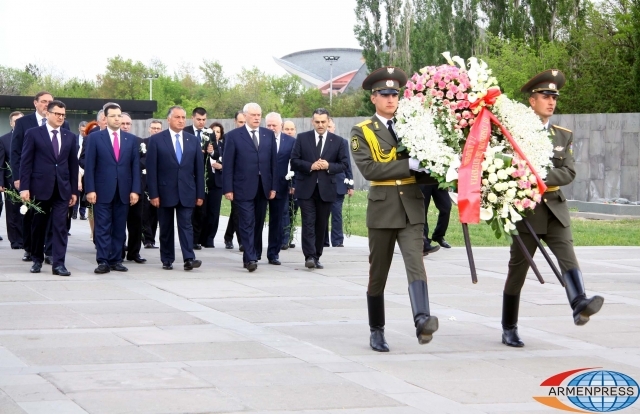 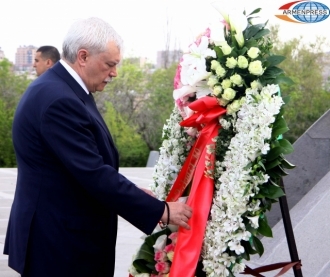 YEREVAN, APRIL 30, ARMENPRESS: The governor of Saint Petersburg Georgy Poltavchenko paid tribute to the Armenian Genocide victims in Tsitsernakaberd. 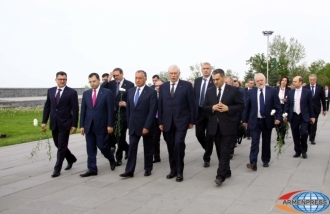 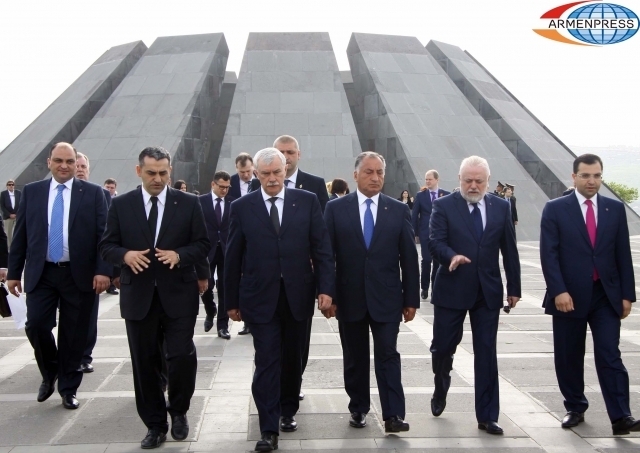 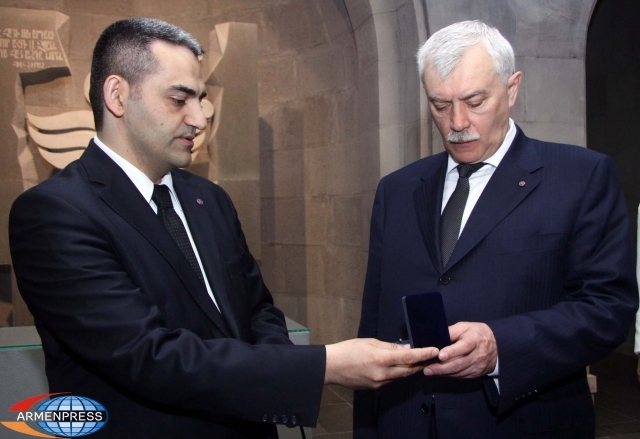 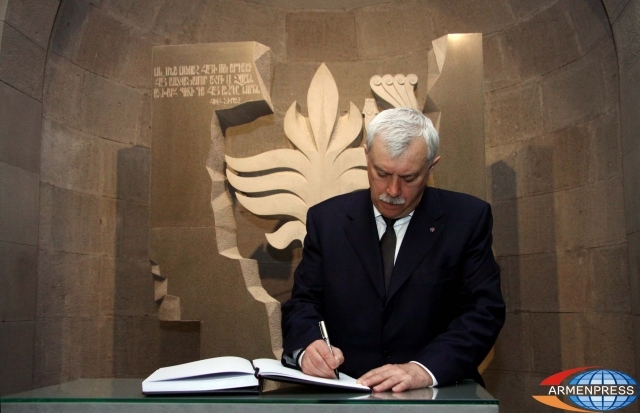 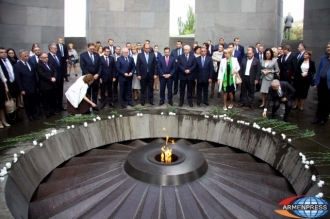 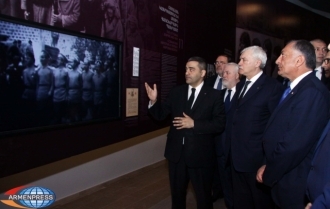 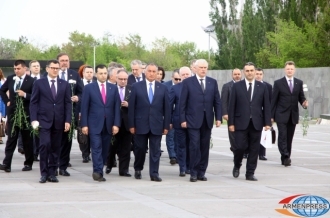 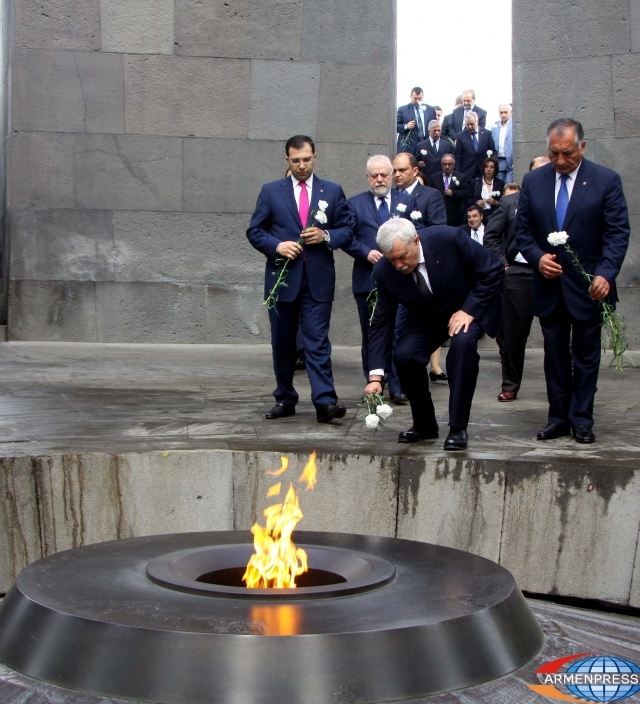 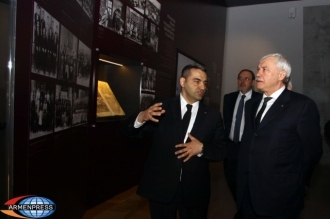 He laid flowers at the Memorial and the Eternal Fire and then, accompanied by the First Deputy of the Yerevan Mayor Kamo Areyan, visited also the Armenian Genocide Museum Institute to watch the newly open exhibition. Georgy Poltavchenko presented documents to the Museum. 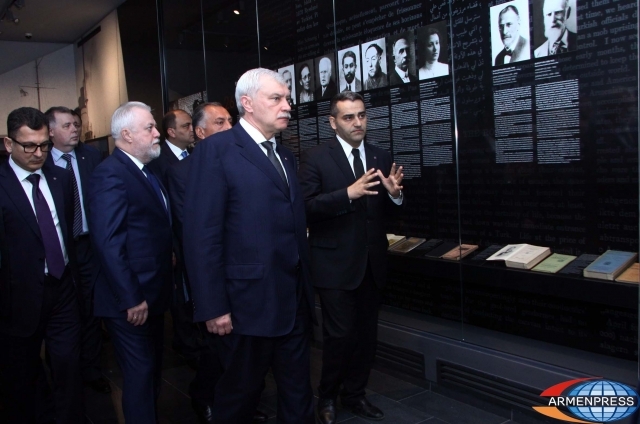 The documents contain information on providing assistance to the Armenian Genocide survived refugees in Saint Petersburg (then Petrograd). The governor of Saint Petersburg made a note in the Guests’ Journal, writing: “I am very much impressed by my visit. 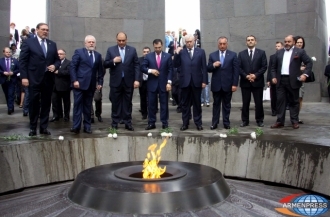 I share the pain of the Armenian people on this horrible tragedy”.